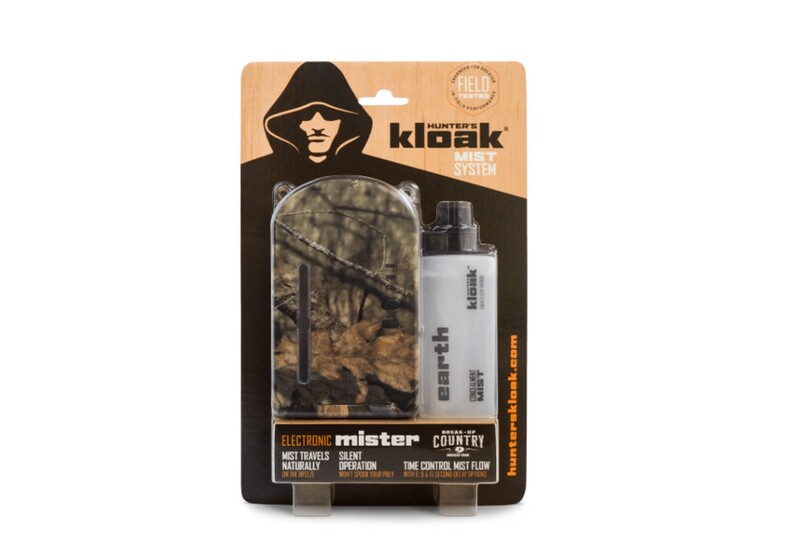 The Hunter’s Kloak® Gen 2 Kloak Mister offers a highly effective concealment and hunting scent attraction application to hunters in a reusable, rechargeable unit. The lightweight and compact Gen 2 Kloak Mister is designed to use scent cartridges that each employ a proprietary cotton wick that carries the scent to an ultrasonic transducer. The transducer converts the scent to a micro-fine mist, emitting it into the air at intervals selected by the hunter. The atomized mist is naturally carried downwind, broadcasting the scent for long-range attraction or cover-up. The 2.5-ounce cartridges are mess-free, easy to install, and are interchangeable while on the hunt.